NOTE: When saving fonts to your computer, Click the Save Fonts button to save the fonts to your Documents folder. 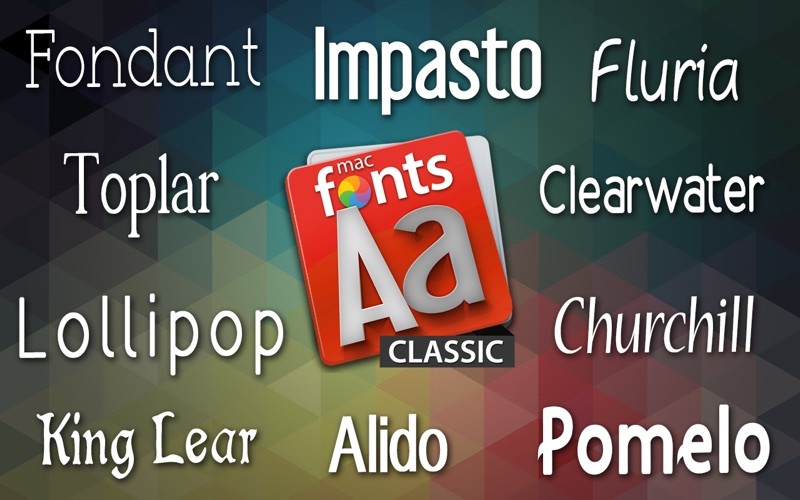 A collection of fonts from our macFonts 4000 collection, perfect for any project! 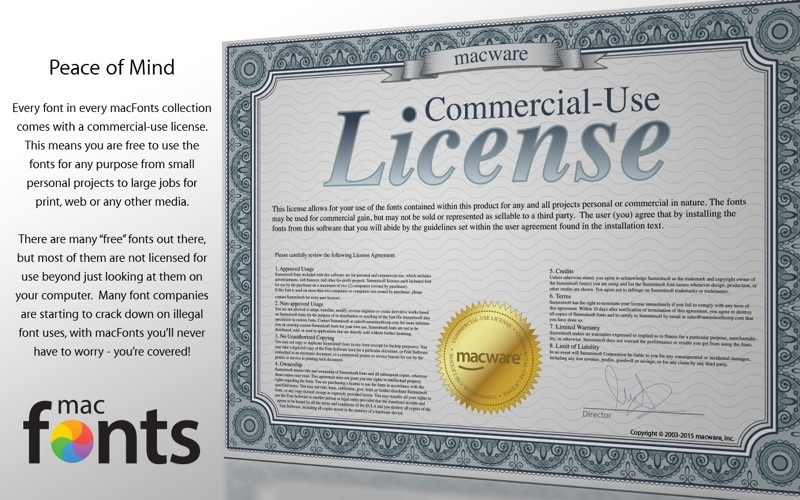 Including a personal AND commercial use license for a single user so you can use the fonts in any home, business or for-profit project. 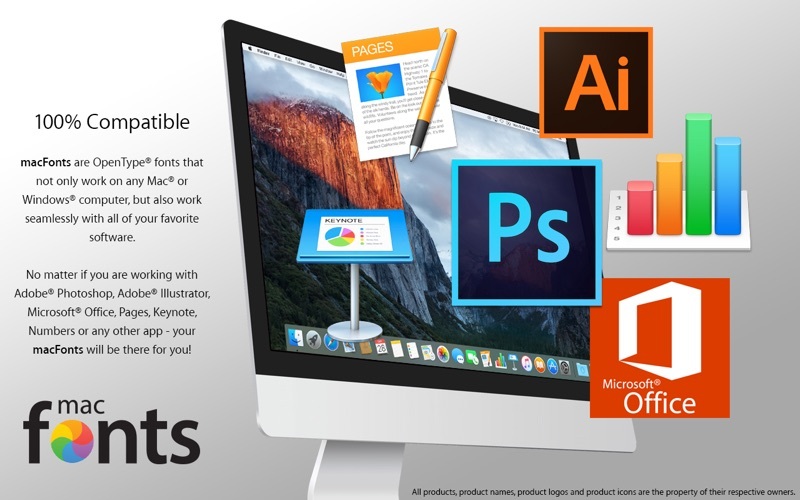 All fonts are available in OpenType format and work in all applications including InDesign, Illustrator, Photoshop, Microsoft Office, Pages, Keynote, Pixelmator and more. 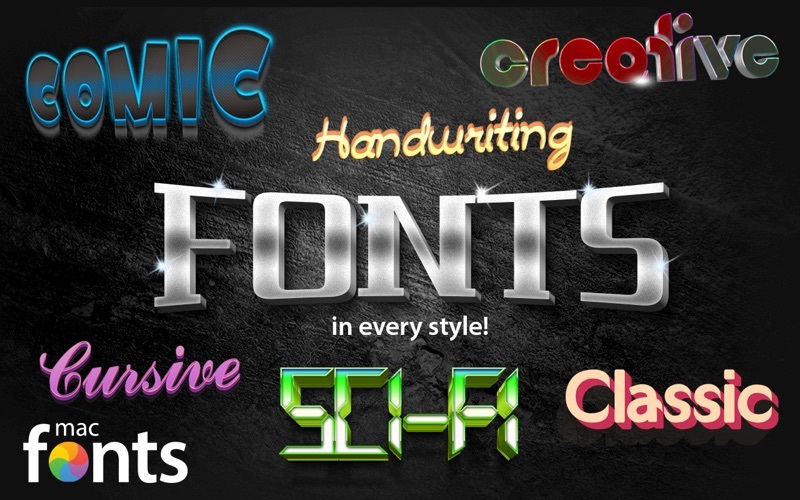 Includes Font Boss Lite application for viewing and installing macFonts Classic fonts on your system. 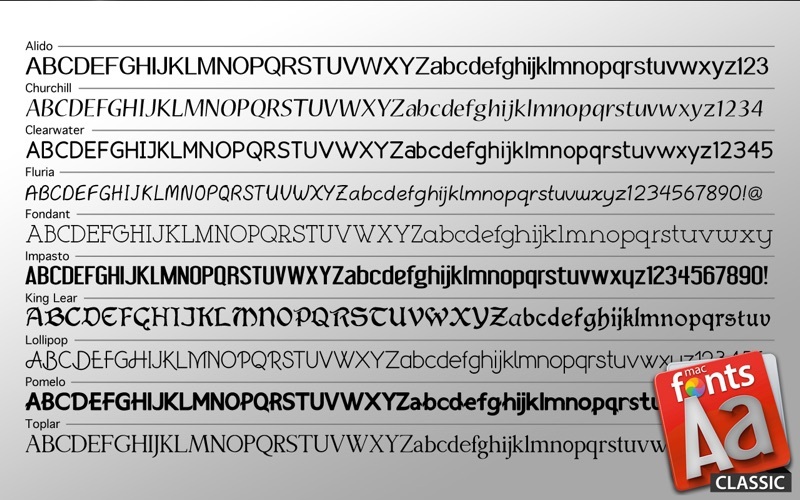 The OpenType font format provides a single cross-platform compatible font file for easy font management and improved document portability between the Mac and PC platforms; ability to embed fonts into PDF projects; superior print quality; and improved language support with an expanded set of international characters including the Euro currency symbol.